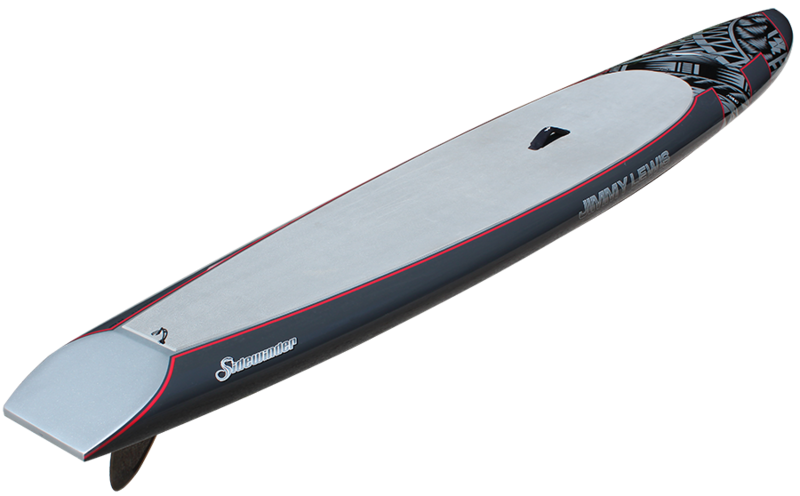 The Sidewinder is an all new all-around board that does it all. It’s designed to be the fastest and easiest board to ride, no matter what the water conditions are! It’s very fast on flat water, but when the chop is up, you’ll find it to be very stable and forgiving. The rocker is designed to not pearl on the wave face, and there is virtually no wake behind it! They come in two lengths, and different widths, so you can pick the size that suits your weight and style perfectly. Everyone who’s ridden one loves it and the graphics are second to none.